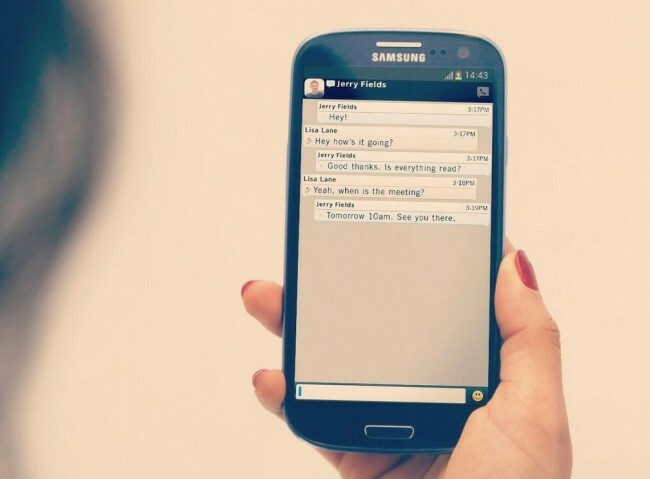 According to T-Mobile UK, Blackberry Messenger (BBM) will arrive on Android and iOS on June 27. Blackberry announced in mid-May that their popular messaging service would turn into a cross-platform messaging client, but would only offer up a release time frame of “this summer.” We know that the app will have groups and voice chat, screen share and all that jazz at some point, plus it should work on anything Android 4.0 and above. So you now have only a couple of weeks to wait before the app you wanted 4 years ago, is finally available. And is that the first look at it, in the picture above? Eww? The question remains though, does anyone care? We now have Hangouts. We have WhatsApp. We have Chat Heads. We have [insert a dozen other cross platform chat apps].